What is it Like to Sell Your Business? It’s the Ride of Your Life, and More. 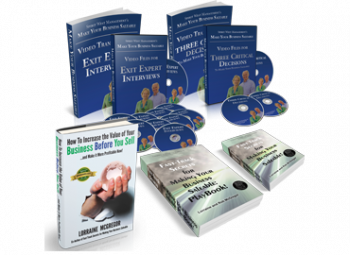 Ever known anyone who has sold their company, cashed it all in, got their big payday? Ever noticed the look on their face when they tell you the story of how it happened? As listeners, we’re prepared to be impressed. This is a milestone event and we all love success stories, especially when the good guy prevails. As we eagerly await the story to begin we anticipate the size of the numbers we’re going to hear about, and the thrill of all the machinations in the deal. As vicarious listeners, we are completely willing to admire their accomplishments. When we meet someone who has done something we want to achieve but are not sure we will ever get there ourselves, we tend to put that person up on a pedestal. That pedestal represents the dream the rest of us are still chasing. I’ve listened to many owners, freshly facing their change in fortunes, tell us their story of how they arrived. This is the common story I hear and what I notice as they tell it. The first emotion that crosses the newly wealth face when asked what its like to close the biggest deal of their lives, is sometimes pride. Pride in the same way you might feel had you just just finished a marathon. But more often I sense hesitancy. Is it hesitancy to climb on to that pedestal? Or is it that they just don’t want to brag about what they’ve achieved? Joe looks embarrassed. “Well it could have been anyone. To tell you the truth, I almost didn’t think this deal would close. The closing date was pushed forward so many times.” He shakes his head and settles his gaze on the window. Alex, their third partner, crosses his arms over his chest and sighs. “Still can’t quite believe it myself. Let’s see what the numbers tell us in a year. Then I’ll know whether this was the right decision or not.” His nervous laugh echoes in the stillness of this room. Strangely, after these cautious comments, each man is silent for a few beats longer than most people would call comfortable. During that time, I see a whole range of emotions race across their faces. The last emotion that settles on their faces before they remember they have visitors and settle a smile on their lips, is pain. I’ll call this pain the Flashback Syndrome. My questions have stirred memories they’d rather not reflect on. They are reliving what they just went through. Like someone with a mild form of Post Traumatic Stress Disorder. If you’ve noticed similar reactions in people you know who’ve sold their business, you are witnessing the Flashback Syndrome in action. They are remembering one of the most arduous events of their lives. They don’t feel like heros. They don’t want to be put on a pedestal. They’ve just lived through a drawn out, nail-biting, roller coaster ride where uncertainty controlled every moment of the day. What you don’t hear from owners who have sold like Joe, Alex and Martin is that every move of their last five years was scrutinized, picked over and judged. You are watching them react to the collision of interests that constantly assailed them through the due diligence process: their value system they live by that says ‘speak the truth and be an honest dealer’ is at odds with the expectations of doing a deal. To buyers, they had to justify every move. For their employees they had to walk around facing them every day like nothing was going on. Meanwhile, closed doors and whispering in the hallway, plus the boss’ tight jaw and rare smile spoke volumes to employees. Their integrity was challenged. Self-doubt nibbled away at their innocence. To compound the situation, the owners undergoing this scrutiny have to keep a tight grip on everything that anyone does during due diligence, lest the numbers forecast are not the results delivered during this vetting period. This need for self-control saps their goodwill towards everyone, their stamina and their nervous system. And it gets worse. At home and with friends, they have to pretend that all is fine, to protect the people they love from the stress of the highs and lows… to manage expectations and prevent disappointment. You see, that business owner who just sold can tell, by looking at the anticipation on your face, that don’t want to hear real version of their story. Here’s the truth about what gives. 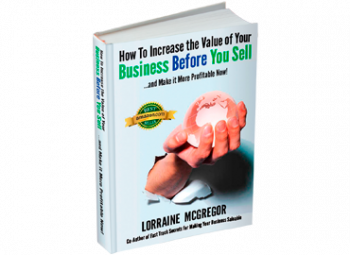 You probably won’t get the insider’s view on what it really takes to sell a business unless you are very close to that owner. And even then, you won’t get a true taste of what he or she went through. So what do they share with you? What you want to hear of course. The big numbers. Big Multiples. Closing dinners. Boardroom tales. Jargon. You witness the new benefits they can now indulge in – big new purchases, lavish trips and a sudden preference for fine dining. But you won’t get the real story. ‘You can’t handle the truth.’ That’s what goes through the mind of a business owner in the days after they have finally closed the biggest deal of their lives. And unfortunately what you do hear may leave you with some myths that won’t serve you if you want to make it to your own finish line. So what could Joe, Alex and Martin have done to reduce their Post Traumatic Stress Syndrome so they weren’t living day to day in a soup of uncertainty? 1. 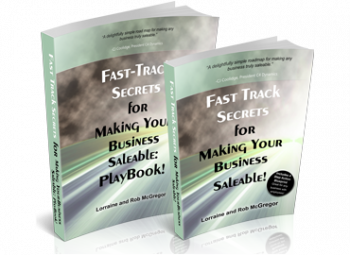 Learn First, Then Build Your Saleability Plan It takes 2-4 years to become Saleable and Transferrable. During that time, smart owners engage advisors to look for the landmines that raise buyer red flags. And then they focus on fixing those red flags. Then the sail through due diligence without all the stress. 2. Come to Terms with Reality Early: Get prepared long before you ever call the business broker. When you make your company saleable, you deal with all the issues that prevent a buyer from saying yes, long before you put the business on the market. You are ready to let go emotionally and psychologically. Your company is primed for growth. Your business knowledge, management team and assets are in transferrable condition. 3. Become What Buyers Are Looking For: If your company is a perfect match to add the value that buyers need to realize their strategic goals, they will be much easier to negotiate with. Learn to see your company through their eyes. Add the Green Lights they search the world for. It’s hard to say no and dither over trivial issues when what you want is staring you in the face. What’s your experience talking to an owner post sale? Ask them what they wish they had done differently going into the deal. Their advice may be the best wake up call you ever got if selling your business is on your bucket list. Far more rewarding than their success story. Share your stories and comments here so we can enrich everyone. Wishing you, your friends, and your clients a Saleable business.